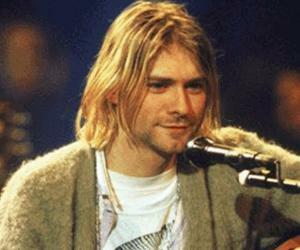 Kurt Donald Cobain was an American singer-songwriter. 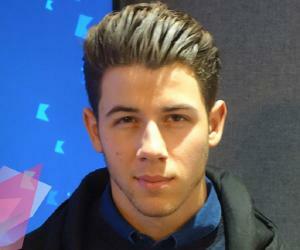 This biography profiles his childhood, life, music career, achievements and timeline. Kurt Donald Cobain was an American singer-songwriter who rocked the music world with his band Nirvana. He is known to have displayed artistic traits since early childhood but being a victim of parent’s separation, he had a troubled youth. Finding solace in music, he started with playing the guitar and slowly and steadily went deeper into the world of music. Albums such as Bleach, Nevermind, in Utero were some of his very popular ones. Nirvana signing with the Grefen Records came as a major accomplishment in his career. Although he continued to grow exponentially on the professional front but his personal life went down the drain due to his severe drug addictions. Plagued with health and family issues, he was a struggling patient of depression and drug addiction throughout his life but his exemplary song writing skills helped Nirvana sell some over 25 million albums in the U.S. and over 75 million all over the world; thereby making him an iconic personality in the field of rock music. Cobain was born on February 20, 1967 in Aberdeen, Washington, to Wendy Elizabeth, a waitress and Donald Leland Cobain, an automotive mechanic. As a child he was of a happy go lucky temperament, fascinated by art. His inclination towards art was evident from his drawings of cartoon characters on his room walls such as Donald Duck, the creature from the Black Lagoon. His inspirational source was his grandmother Iris Cobain, an artist by profession. Cobain was attracted to music from a very early age. By the age of four, he could play the piano and even write simple songs like about visiting a local park. He was touched by artists like the Ramones and Electric Light. He enjoyed listening to songs such as “Motorcycle Song” by Arlo Gutherie, The Beatles, “Hey Jude” and many more. Seeing his parents separate at the tender age of nine changed his temperament immensely. He became an introvert and at times rebellious, a very different Cobain for everyone. Cobain visited his mother on weekends but stayed with his father. Seeing his mother suffer in the hands of her second husband who was abusive, he became more depressed. His father was not able to keep his promise of not remarrying for long. 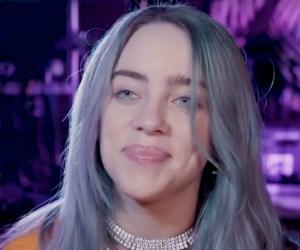 He remarried bringing two children in the house which resulted in a lot of bitterness in Cobain’s attitude towards his father and his new family. Going through a troubled childhood, his public behavior was becoming impudent, rather strange thereby leaving no choice but a therapist intervention who advised his parents to be together. Failure to be together even for their son’s betterment, the complete custody of Cobain was given to his father. Nonetheless, Cobain’s behavior did not improve and he was moved to a family friend’s Jesse Reed’s house. In the initial phase of living with new people, he was attracted by Christianity and started attending church services but even this was short lived. On his father’s insistence, he joined the school’s wrestling and baseball team but always shirked performance just to let down his father. He started keeping company of homosexual boys and people questioned his sexuality to which he defiantly accepted his being a gay just to keep away from people. He started staying with his mother again while in second year of high school. Just when he was about to complete graduation, he left school as a result his mother also threw him out of the house. It was only in 1988 that Cobain finally decided on a name for his group as ‘Nirvana’ which started with a first single, “Love Buzz” that was released by a small label ‘Sub Pop Records’. Their first album ‘Bleach’ was finally released in 1989. It showcased their punk base along with signature heavy metal sounds. Aaron Burckhard left the group and was replaced by Chad Channing for drums, later replaced by Dale Crover. Nirvana as a band was getting famous in Seattle and Cobain also tried writing songs such as a ballad, “About a Girl”. The year 1990 brought in more associations for Nirvana with some rock and roll masters while the band toured with the Sonic Youth resulting in further replacement of Dale Crover by Dave Grohl from the band Scream. A major accomplishment was made in 1991 when the Nirvana joined with Geffen Records, following which ‘Nevermind’ was released. The “Smells Like Teen Spirit” was the single by Nirvana that won them accolades in the music world thereby making Cobain the best songwriter of the generation at the young age of 24 only. Another album entitled, “In Utero” was released in September 1993 and it attained huge success. It is all about his bitter life experiences and struggles. He took another leap in the recording league through his "Radio Friendly Unit Shifter." 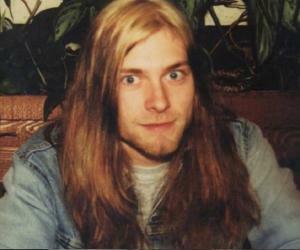 Although Cobain grew immensely at the professional front but was slowly drifting from his band members on personal level. Thereafter, he did a gig for the MTV’s unplugged series. The growing popularity was more pressurizing for the young Cobain which made him more apprehensive of his future that seemed uncontrollable from his end; hence he ventured into drugs. Cobain was ranked as the 12th greatest guitarist of all time by David Fricke of Rolling Stone in 2003. He was ranked seventh in the MTV “22 Greatest Voices in Music” list whereas Hit Parader list of “100 Greatest Metal Singers of All Time” placed him at the 20th rank in 2006. The Kurt Cobain Memorial Committee put up a sign in Aberdeen, Washington, saying “Come As You Are” in Cobain’s honor in 2004. Post the sell off Nirvana song catalogue, Cobain replaced Elvis Presley for being the highest earning deceased celebrity; which was again replaced by Elvis in 2007. He was placed into the Rock and Roll Hall of Fame in 2014 with his two band mates, along with Nirvana bandmates Novoselic and Dave Grohl. A book “Come As You Are: The Story of Nirvana” was published by Azerrad who penned down every detail about Nirvana and its members since the band’s inception. Cobain suffered from chronic bronchitis and a stomach issue throughout his life. Troubled family and health distress took him to drinking and drugs. He did his first drug when he was just 13 and by 1990, he had become a severe addict. He was also arrested a couple of times for spray painting buildings and wandering on streets in drunken state. In 1987, Cobain started seeing a girl, Tracy Marander with whom he started living in Olympia. Plagued with financial troubles all the time, the couple enjoyed their life this way but not for long until Marander gave up on his drug addiction. 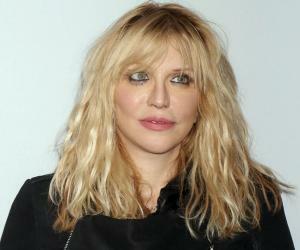 Cobain later got involved with a rocker, Courtney Love in 1990 whom he met at a show at a nightclub in Oregon, Portland. Although the relationship did not materialize immediately but in February 1992, the two got married while Courtney Love was working as a lead singer and guitarist with Hole. 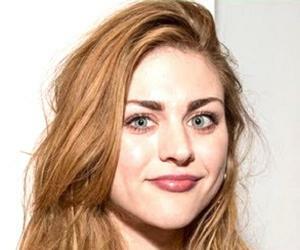 Their daughter Frances Bean Cobain was born August 18, 1992. Due to the heroin addiction of the couple, they got involved in legal cases with the authorities and child-welfare agents removed the couple's baby daughter for around four weeks. After months of negotiations, the couple finally got full custody of their daughter. While on a family tour in Europe on March 4, 1994, he attempted suicide through drug overdose but escaped death. Post this incident, Cobain became a loner with suicidal instincts. Cobain went to the Exodus Recovery Center in Los Angeles, California on March 30, 1994 for a detox program. The following night he crossed the fence of the rehabilitation center and flew back to Seattle and kept roaming around the city for the next few days. His friends and family members were unaware of his whereabouts. On April 8, his dead body was discovered at his Lake Washington Boulevard home by an electrician. According to coroner's report, he died on April 5, 1994. He was only 27.